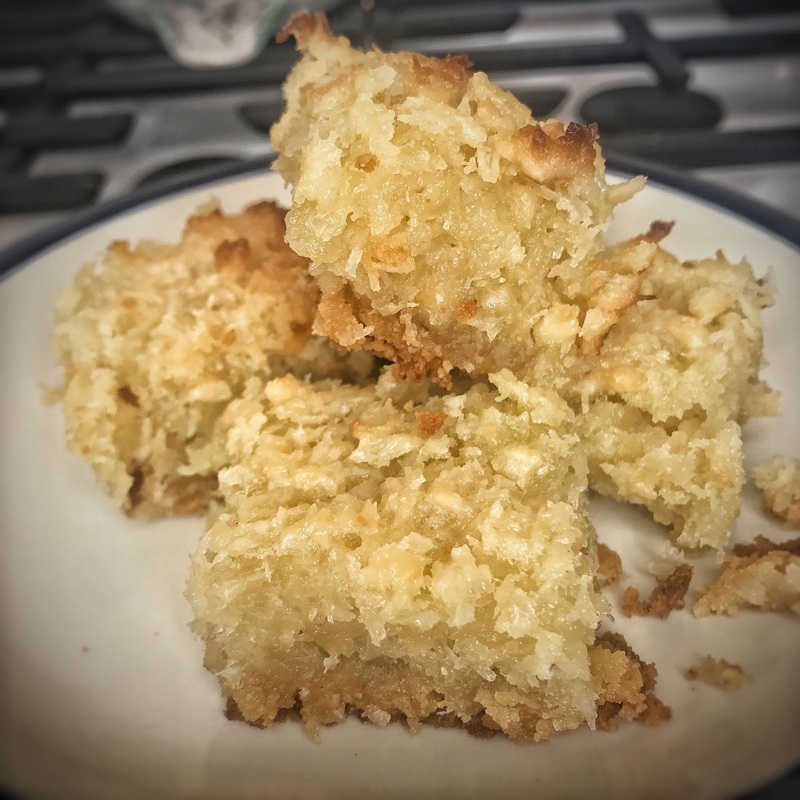 We tried these coconut macadamia bars yesterday that we found over at All Day I Dream About Food and they were a total hit! They were tasty, they were gooey, and they made us both very happy! This is definitely on my list as one of my top 5 favorite low carb desserts! Preheat the oven to 350F. Combine almond flour, sweetener, and salt in a food processor. Pulse to combine. Sprinkle the butter over and continue to pulse until the mixture resembles fine crumbs. Press the mixture evenly into the bottom of an 8-inch square pan and bake 15 minutes or until light golden brown. Set aside and let cool while preparing the filling. In a small saucepan over medium heat, melt the butter. Whisk in the sweetener and the coconut cream until smooth. Stir in the coconut, macadamia nuts, egg yolk, and vanilla extract until well combined. Pour the filling over the crust. Bake 35 to 40 minutes, until the edges, are golden brown. Remove from the oven and let cool completely before cutting into bars. The center will not seem set but it will firm up as it cools.